If you ask most people why they became a CNA, they’ll tell you it’s something they were called to. This answer is something that we hear from many people, and quite honestly, we couldn’t be more excited to hear it! Finding a heart that is called to care is one of the things that we seek in every team member that we bring on, and for good reason. If you are considering being a CNA, or you’re looking to have a CNA in your home for in-home health care for a loved one, there are a few personality traits that you’re going to want to see in this person. At Evergreen Home Health Care, we do everything that we can to provide families with care professionals that make a great fit. 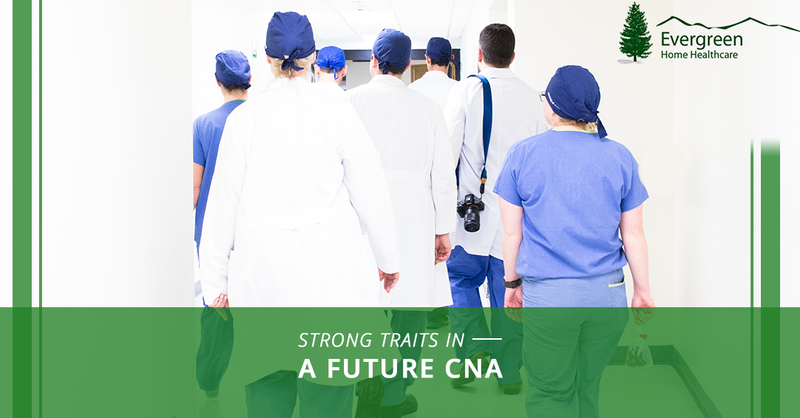 Today’s blog post is going to cover a few traits that we look for in our CNAs. Give the following a good read! One of the things that we mentioned early on was how a calling to care for others is something that we look for> We’re going to dive a little bit deeper into this in regards to the traits that show this calling. The primary one is going to be compassion. Nurses work very closely with individuals that are hurting, both physically and mentally. While the knowledge that you can get through school and years of experience will be priceless in the preparation that you have to deal with particular cases, compassion can make all of the difference. Being able to really connect with patients based off of compassion, rather than simply going through the motions with procedures and the medical aspect of it, can make all of the difference. Patients are more likely to feel comfortable and build relationships with caregivers that are compassionate to their needs and emotions. When it comes to jobs that are challenging, nursing and in-home care are certainly up there on challenging jobs. 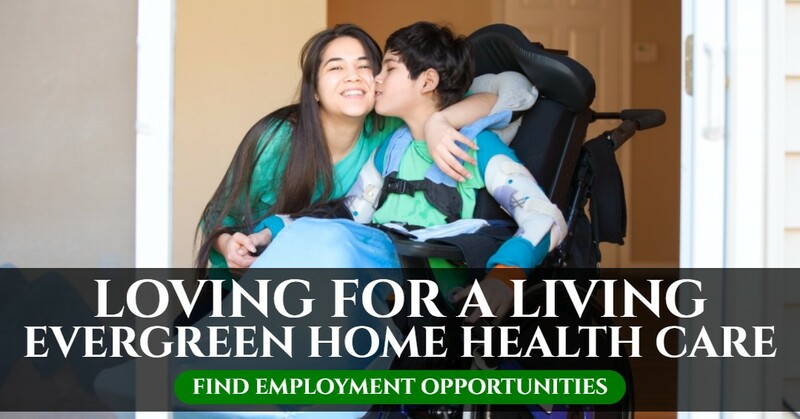 When accepting a position with Evergreen Home Health Care, there is the possibility of working full time with individuals that need full-time care. What that means for the individuals that work with is us is long hours, tough tasks and days that run together. Again, the calling to care is exactly what we’re looking for here. With a position in home health care, you can guarantee that there are so many challenges that you will come across in a day’s time, and the work ethic to push through them and continue to provide the best for your client is something that we find to be priceless. Another challenge that you can expect to see time and time again is a change in location, situation, and patients. Change is one of the only consistent pieces of this industry, and the ability to be flexible and adapt to the various situations that you will come across is a trait that is crucial. One of the things that tie into this, but is an additional trait that we will look for, is a quick thinker and avid learner. Given how frequently situations are guaranteed to change, the ability to continue to grow in a position, in knowledge, and in skills is something that we love to see, but also the ability to be quick when a situation arises. We can guarantee that regardless of the age, circumstances or diagnosis of your patient, something that you will inevitably expect and experience throughout your career is change and adaptation through various situations. This will also be something that will happen when you switch from one patient to another. While this isn’t a scenario that we would like to see happen frequently, the care that patients need can vary. It’s these situations that will call for various patients and various situations that a caregiver will need to adapt to. In a job where change is inevitable and situations will always challenge an individual, the one thing that you for certain need to have is patience. As a caregiver, you are the person that will be the person that answers for a majority of the questions and care that your patient will need. That being said, even in the most frustrating of times, it is crucial that you are able to maintain your cool and find a solution to every situation. Aside from the situations that will inevitably happen as a caregiver, you will also need to find patience in your relationship with the patient and the process of providing care. This is a long-term process and, for some caregivers, it can be extremely challenging to continue to provide care without ever seeing a physical change. Most of the patients that CNAs with Evergreen Home Health Care will be working with will be long-term patients in which care will require constant development and growth to accommodate needs. As you provide constant and consistent care to a patient, you can also count on having to maintain a demeanor that lets them put their guard down and create a relationship with them and ensure that they really are comfortable the entire time that they’re working with you. Finding the right people for our team is something that we invest ourselves in, and it’s not something that we take lightly. There are various other traits, skills, and courses that we look for our team members to have, so if this is a pathway that you are hoping to pursue, continue to check our blog where we are diving deeper into this realm on a frequent basis. If you are interested in pursuing a job with Evergreen Home Health Care in our Denver, Westminster, or Fort Collins locations, we would love to have you! As a whole, our team is constantly growing with some of the most determined and caring individuals that we’ve ever met! Get a better idea of what a career with our team would look like by browsing this page, but also reach out to us with any additional questions that you have.